I'm sure you've heard of COILTEK coils and have even heard them mentioned during the show many times as both Leighton and myself really like that 10x5 Coiltek for the CTX. 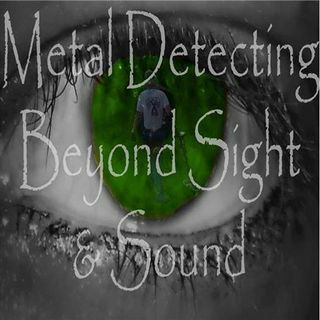 If you have had the chance to catch Trevor on BEYOND SIGHT AND SOUND or even any of the other shows he's dropped by then you know that not only is he very ... See More energetic about the hobby of metal detecting,...he's also serious about COILTEK coils. Coiltek has been manufacturing high performance aftermarket coils and accessories for some time now and continue to optimize discovery with their intense research and development of these great products that continue to produce many nice finds for those of us who continue to use their products in the field where it counts! The last time Trevor was on the show we had a great time speaking with him and even a few laughs with the future / past understanding of time zone difference. Trevor had mentioned that there were some things that Coiltek had been working on the last time he was on the show so maybe we will get to hear more about these things or even some of what's on the horizon for Coiltek. One things is for sure...it will be great to speak with Trevor again and we are looking forward to speaking with him. Join us as BEYOND SIGHT AND SOUND heads across the pond for another fun and informative show about COILTEK! Tune in...we want to hear from you! I hope to see you there...call in, interact, or just sit back and listen!